If you are looking for high quality and personal service, you have come to the right place. At Shadow Wood Writing Studio, we will give you the attention and personal service you will come to expect and enjoy. We offer the best in services and offer exceptional products. Our Writing Studio has been located in Denver, Colorado since 2005. Let us put our experience to work for you. The Author ‘saw and boarded the great Rocket Ship’ with them! She ‘heard’ the lonely hoot – ‘Whooo-Whooo-Aaaallll’ of the Great White Owl! Can you believe she, also, ‘heard’ the ‘Gonng-gonng-gonng-inng’ of the amazing old Grandfather clock ‘Gonng-inng… Midnight’? As you became involved in reading the story, did you ‘see and hear’ these things? 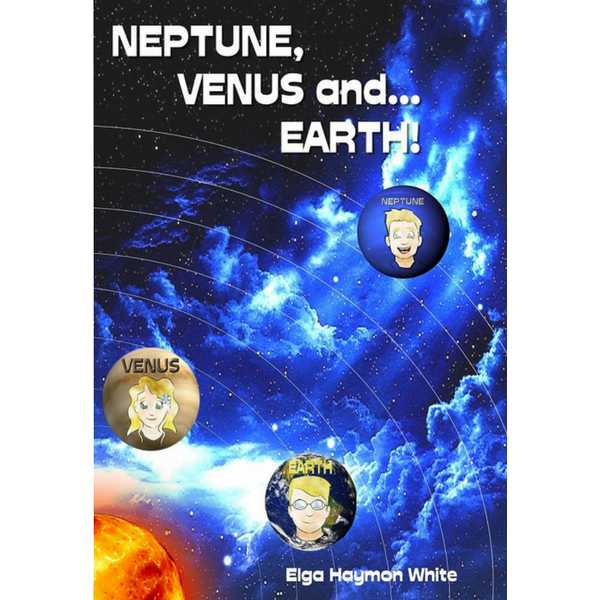 This Holiday Season presents a ‘Special Gift’ - - Elga Haymon White’s original book of poetry - - Pure Rhapsody was produced into perfect treats. Carry them in a purse or a briefcase! Each ‘wee, little book’ has pages of elegant, heartfelt, meaningful words. They etch forever in one’s mind. These three printed books available at Story-e-Books.com are $11.95 each. $29.95 for the set of three. The original book, Pure Rhapsody, is a sensation and sells for $15.95. Grab a copy of all four prints - - $39.95 until December 25th only!! Buy the 3 Wee Little Books set. 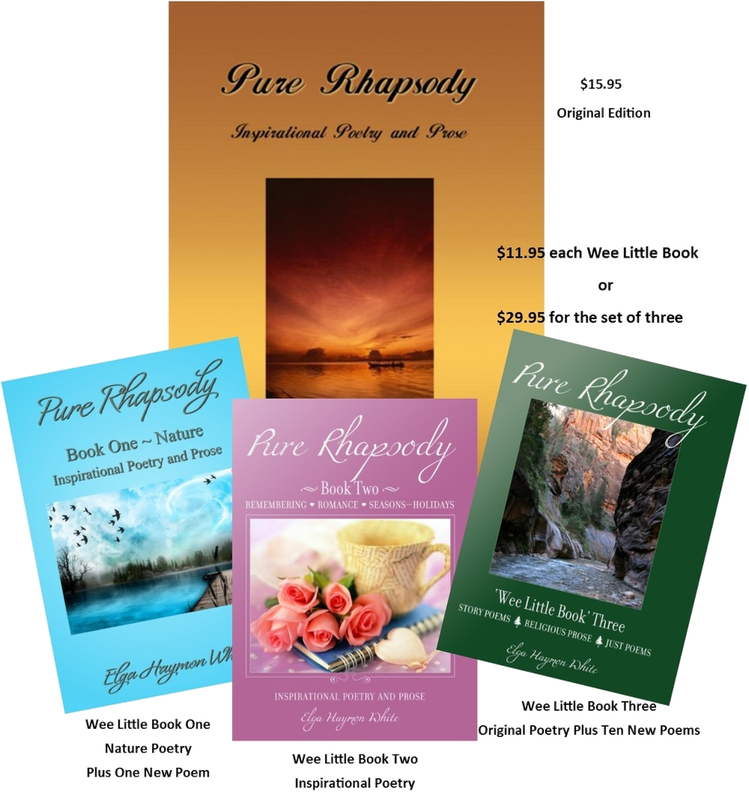 Buy all four Pure Rhapsody books. We are Committed to helping authors achieve their dreams.